A recent report that suggested that Maruti Suzuki India is focussing on the hybrid technology more than the electric vehicles right now. With India’s aim to become completely electric car market by 2030, many manufacturers are scrambling their R&D to come out with ideas. Maruti, however, is currently focusing on the hybrid vehicles instead due to various reasons. Maruti Suzuki India chairman, R C Bhargava has said that there is no clear roadmap on how the government plans to achieve the target of going all electric by 2030. Maruti will only get into the game and will make electric vehicles, but there is no definite timeline for the same. The cost of electric cars remains very high due to the price of batteries, and the sales are still negligible. 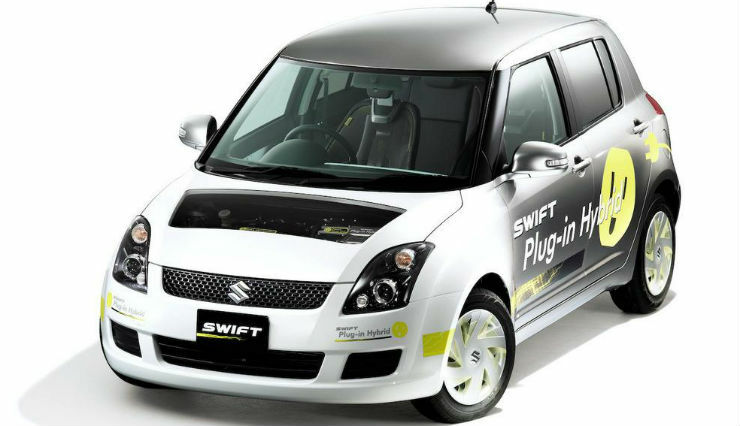 When the development of the EVs start, Maruti will source the technology from Suzuki. Interestingly, Suzuki does not have an electric vehicle on offer anywhere around the globe yet. The Japanese automotive giant did show some concept models, but they are yet to come out with a production model in the market. Suzuki announced a joint venture with Toshiba and Denso last year to develop and produce lithium-ion batteries last year. The JV will see an investment of Rs. 1151 crore and there will be production facility of the batteries in India too. The batteries developed from the JV will also power the Maruti Suzuki modes. Bhargava showed confidence on acquiring electric vehicle market when the time comes. He said that they intend to be the market leaders in the EV segment in India. There are many hindrances in the electric model in India. The price sensitive market will take a lot of time to get used to the high priced electric vehicles. Also, the lack of infrastructure will be a major speed breaker on making the electric vehicles a success in India.